As of this date there are currently 31 active single family home listings between $5 million and $10 million dollars in Sarasota County. There have been only 4 sales of homes in this price range in the past 12 months which may indicate an over supply of properties in this price range or an 8 year absorption rate. 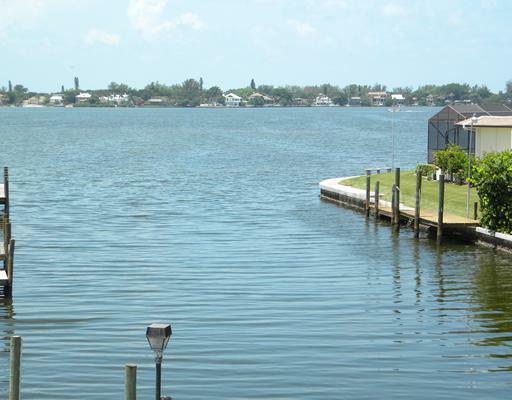 Most of the homes are between 5000 and 10000 square feet and are located on the water. Sarasota County recently had a record breaking $12,500,000 sale on Longboat Key. The gulf front home was located behind the gates of the Longboat Key Club at 825 Longboat Club Road. It has 11,961 square feet of living area and was built in 2002. According to MLS, it was a cash transaction. Many Realtors and homeowners in this price range are pleased to finally have a comparable sale to point at when comparing to their listings/homes to. As an appraiser, I can tell you it is always good to have a recent comparable to work with; however, an appraisal would need a minimum of at least three comparables and usually more in a property in this price range. Unfortunately there aren’t any other recent home sales in the over $10 million price range. It will be interesting to see if this sale sparks more sales in the upper end of the Sarasota real estate market. See the featured homes section of my website for more properties for sale in this price range. It appears that there has been some “Spring Fever” affecting the real estate market in Sarasota. Statistics show sales are up and the inventory decreasing. It is too soon to tell whether this is has been motivated by the season or if it is the start of a trend towards the rebound of the housing market. I can tell you from my personal experience as a state certified residential real estate appraiser that there have been recent sales in areas of the market that have been stagnant for the past few years. In the past 30 days there have been 5 sales of condominiums priced over two million dollars in the downtown area alone. I appraised one of the condominiums that sold in this price range and was pleased to finally have some comparables to work with. Prices have come down to levels that are well below what they were before the boom took off in 2004. Just as the boom era prices were not sustainable, it is my opinion that the current low prices will not be either. Time will tell and hind sight is always 20/20. Residential real estate sales in the Sarasota area have reached the highest level in six years, according to stats released this week by the Sarasota Realtor Association. Total property sales in the Sarasota real estate market hit 800 for the month of March 2011 – the highest level since September 2005 when sales started to decline. The other great news in March – prices rose in double digits for both single family homes and condos from the previous month, pending sales were the highest since the real estate boom ended in 2005, and the inventory dropped to 5,501 – less than a third of the available properties on the market during the boom. What makes the statistics even more positive is the fact that there is no federal homebuyer tax credit initiative fueling this surge. The tax credit drove up spring sales last year, but this year’s numbers are strong simply on the basis of the incredible quality and value evident in the local real estate market. Single family home sales, at 580, were up 23 percent from the previous month, and were 5 percent higher than last March, when the tax credit spurred sales to 555. Condo sales also climbed to 220 in March 2011, up 10 percent from February, and 11 percent higher than last year at this time. Median sales prices for both single family homes and condominiums shot up in March to $159,250 for single family homes and $173,000 for condos, representing a 16 percent and a 26 percent jump, respectively. One of the likely reasons – distressed property sales fell to 43 percent of the total, down from February when almost 47 percent of all sales were foreclosures or short sales. In addition to the positive sales figures, pending sales also registered above the 1,200 level in March, hitting 1,208, the highest level in six years. This year, every month has seen more than 1,000 pending sales, or properties going under contract during the month. The statistic is a strong indicator for the next two or three months of sales, as pending sales reflect current buyer activity, which has been off the charts. Last March, pending sales reached 1,060, but that figure was pushed upward by the approaching April 2010 deadline for the homebuyer tax credits. This year’s upward trend is being fueled by buyers of all sorts – investors, second-home buyers, and those who realize that today’s lower home prices coupled with low interest rates present buyers with an opportunity not seen in years. Another indication of the very positive atmosphere in the local real estate market was the Florida Realtors® Open House Weekend on March 26-27. More than 600 open houses were advertised over the weekend in the local market, and foot traffic was very heavy, according to agents who participated. The drop to the lowest inventory level in six years (5,501) could mean additional upward pressure on sales prices moving forward. The remaining months of inventory for single family homes, the time it would take to sell all currently available single family homes at the present rate, fell to 6.0 months from 8.0 months in February. This is traditionally a level which represents the cusp of a seller’s market, when buyers begin to compete for available properties and drive up prices. For condos, the remaining months of inventory dropped to 9.2 months from 10.4 months in February, also a healthy figure. Only a short 26 months ago, in January 2009, there were 25.3 months of inventory for single family homes and 38.4 months of condo inventory. The market is considered to be in equilibrium between a buyers and sellers market once the figure reaches the 6 month level. Click here to read the full report with graphs from SAR. This house was started and is priced below cost. 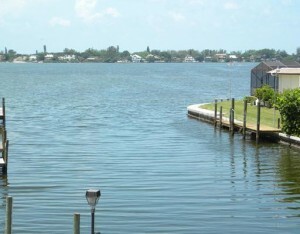 It is located on “sailboat” water directly off the Intracoastal Waterway in Sarasota. 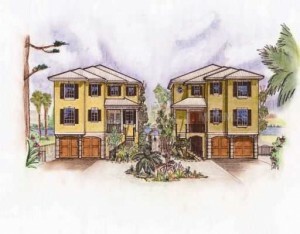 The home on the left side of the property is completed and occupied. The owner is offering the plans and building permit in the price of $525,000. You can use his builder or your own to complete. The owner is very motivated and wants offers now. Call me if you have any questions. 941-363-0042.